For some time now, I’ve been saying if you can’t get 2% back in value for credit card spend in miles, then don’t bother. My point being that there are cards that give you straight 2% cash back and so if you are, for example, earning a Delta Skymile on their co-branded card and then redeeming for about a penny a point (Delta’s goal for you) then you are only getting around 1% effective cash back. It means you aren’t trying very hard 😉 But if that is as hard as you want to work, I always recommend switching to a 2% cash back card and just booking travel with that money. 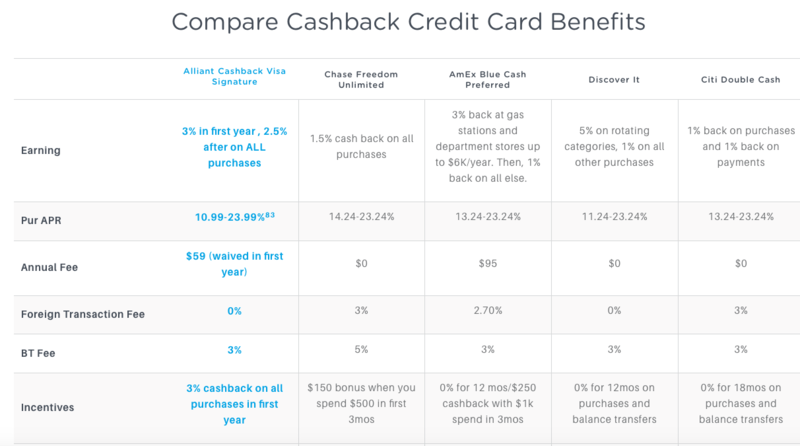 I have been recommending the Citi Double Cash and the Fidelity card as two great 2% cash back options. There is now a new contender for that cash back card. 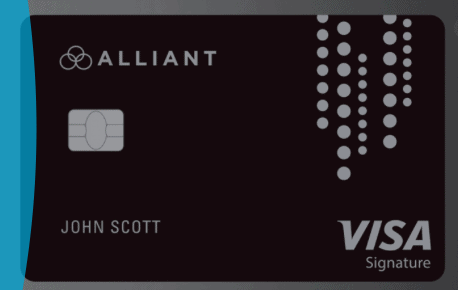 The Alliant Credit Union’s Alliant Cashback card pays a flat 2.5% on everything. And 3% on everything for the first year! The $59 fee is waived the first year. Why haven’t you heard about this card? Well, for one thing, they don’t offer bloggers affiliate links. So while your favorite blogger may have given it a passing mention, they aren’t incentivized to keep sharing it over other cards that pay them. Here’s a nice comparison against the competition as found on the Alliant website. Now, to be clear… I’m going to continue earning points and miles. 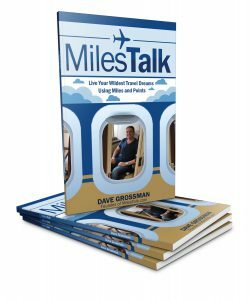 Like I point our in my post “MilesTalk University: Start with these two credit cards if you are new to miles and points,” it isn’t hard for me to get 3% – 4.5% at a *minimum* using that 1-2 punch credit card combo. But if you realize that you won’t put in the time and effort to exceed 2.5% effective cash back, this may be a great card for you.